My New Favourite Hair/tool hair extensions Supply Store. When it comes to getting ready, I am pretty simple. I don’t wear make up on the daily, or have extravagant hair. But when I do style my hair, I use these main hair tools for styling my hair, with normal straight hair to big bouncy curls! My one stop shop. Here are some of my looks! 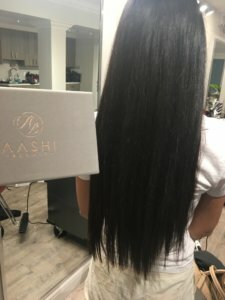 Approximately one year ago, I came across Aashibeauty.com, a site that is affordable and has the quality of hair I prefer to wear. You cannot imagine how excited I was to find this online store. In addition to providing affordable clip-in hair extensions, they also sell professional tools, and they even have vegan makeup! Let me tell you; this site has become my one-stop shop over the last twelve months. 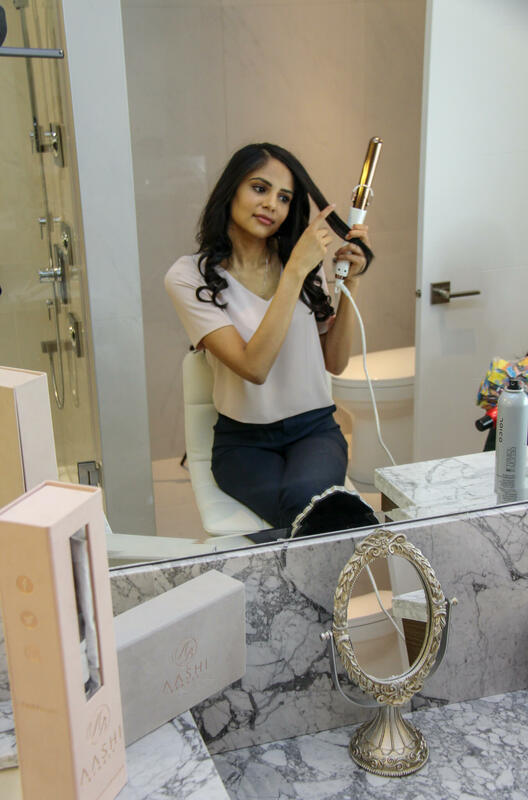 I have purchased several styling tools –and most recently, I bought a 5-in-1 interchangeable curling wand which is perfect for helping me to style my hair. This curling wand allows me to change hairstyles without having to switch out my hair extensions. I tend to bounce between curly styles and straight styles. My hair is vibrant with curls when I use this wand. 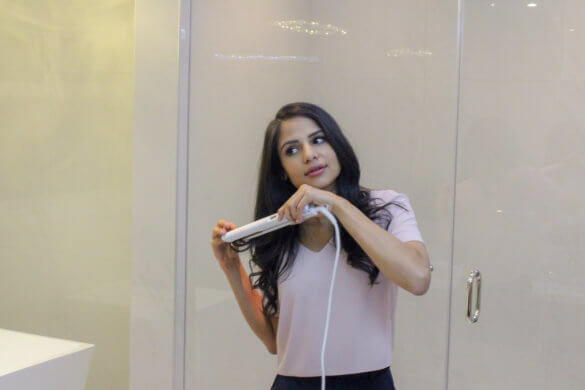 It and the titanium flat iron that purchased on this site are now must-haves for the road, I also use this tool just to give my hair some waves! Another appreciation factor I have is, the packaging is ABSOLUTELY stunning! I mean I didnt want to throw the box away, thats how pretty they were. Occasionally, for special events, sometimes when that “wow factor” is required, I choose to change up my look, and wear hair extensions. Why? Because they help to give my natural hair, which is thick but not very long, extra volume and the length I so desperately crave. And it simply adds that “wow factor” What do I wear? 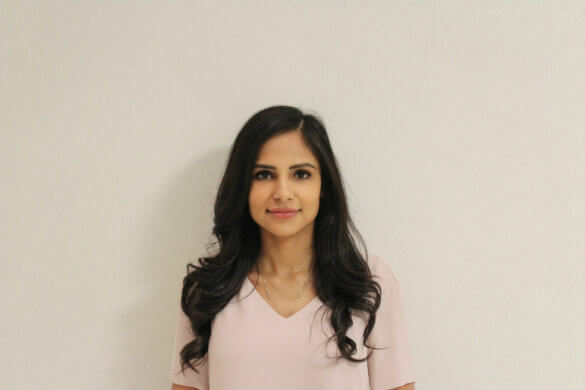 My favorite type of hair extensions to wear are 100% Indian Remy Clip-In Hair Extensions. Depending on the occasion I may wear 18” or 20”. 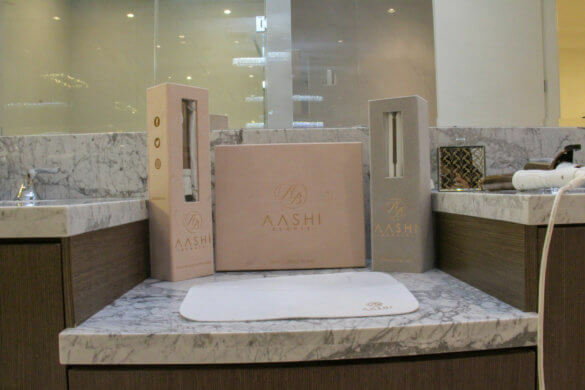 I purchase my hair extensions from Aashi Beauty. Finding hair clip-in hair extensions online is not difficult to do –but finding the perfect bundle of clip-in hair extensions that are affordable can be a real challenge. I don’t have thousands of dollars to throw around every time I want to change my look. I prefer to keep a budget that allows me to modify my style but not break the bank. 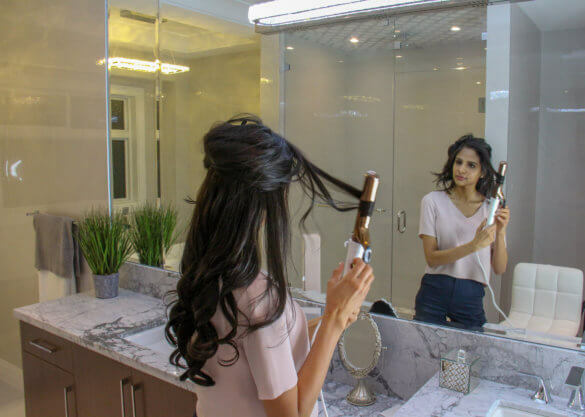 Although I do love my clip-in hair extensions, when I am traveling, I prefer to wear my tape-in hair extensions so that I can rock my princess hair. 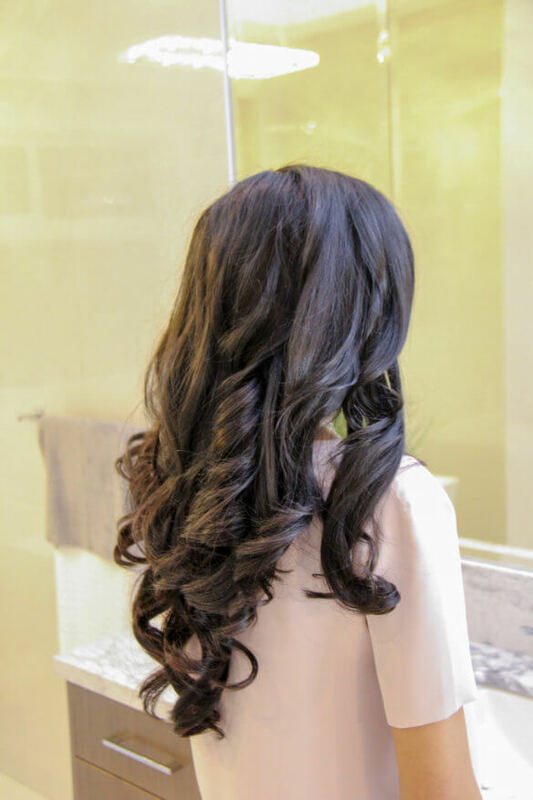 Tape-in hair extensions are my second favorite type of hair extensions because they don’t damage my natural hair and the installation process does not take very long which is extremely important to me. I like my stylist, but I detest spending the day stuck to my stylists’ chair. You may be wondering why I don’t just install the tape-in extensions myself if I hate sitting in that chair so much. I would never attempt to install these extensions myself. If you’re contemplating installing these yourself, I recommend that you do not attempt to do it. The last thing you want to do is to damage your hair by trying to do it yourself. Let a professional stylist do it. Here is a picture of me rocking my tape in hair extensions! Thanks for reading my blog. 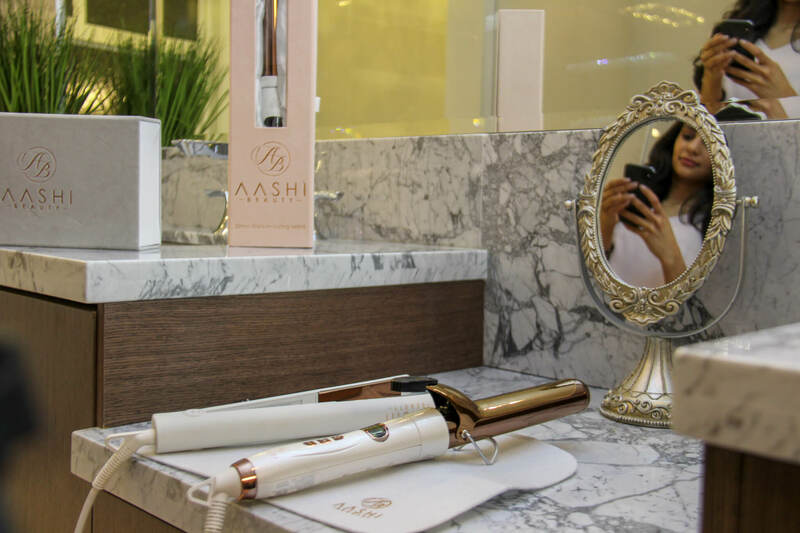 If you are in search of affordable extensions or styling tools, I do encourage you to check out Aashibeauty.com for affordable goodies.